Every home can use additional storage space. If the rooms floor space is at a premium, think vertically. 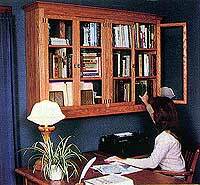 Wall shelf plans can add many square feet of storage and display space without taking up valuable floor areas. 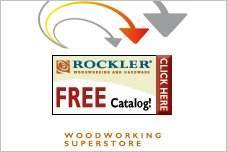 Free wall shelf plans can be an easy, beginner's project completed in an afternoon. Other plans are tailored for an advanced woodworker and can be a lasting piece of furniture to add grace and charm to any room. 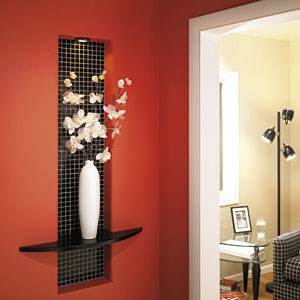 Shelving can be floating, for a minimalist look or feature molding to complement your room decor for a designer look. 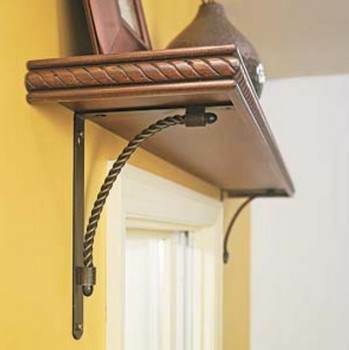 Add glass doors to protect treasured collections, add a whimsical animal head silhouette for the end pieces or use wrought iron brackets to support a country look shelf. With so many choices, you may want to make several. There is wall shelving to fit any style and budget, from whimsical to elegant in the shelf plans below. 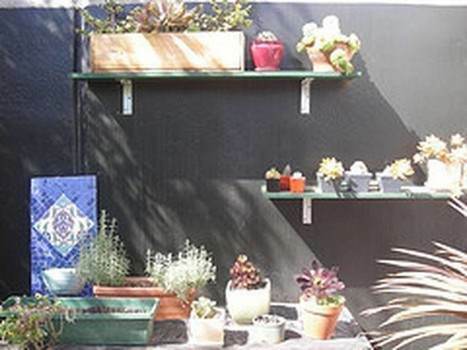 Seven steps for building a wall shelf that is extremely simple to create and requires little time and money. 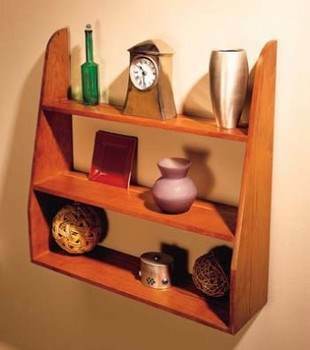 Shelf plans for building a floating wall shelf that will help in creating a decorative wall in your home. Build one of these variations of window shelves that are meant to fit above a window. Here are plans for two traditional hanging shelves. 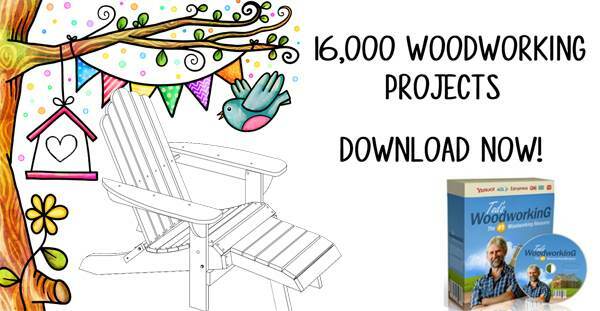 Build one or both designs for your home or for a gift. Create a beautiful decorative display niche that will add elegance and style to a room. 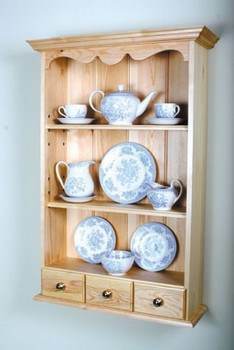 Here are plans for a shaker style wall shelf unit that has five shelves and looks good in any room of your home. 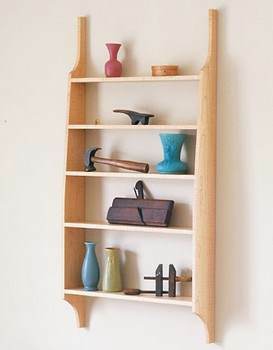 Build this solid cherry wood wall shelf that is both decorative and a cinch to make. 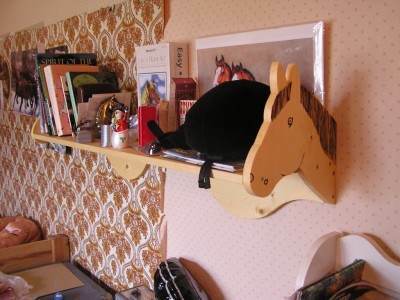 A horse shelf is great for the horse lover or even to put in a country home. Instructions with pattern to make a horse shelf. 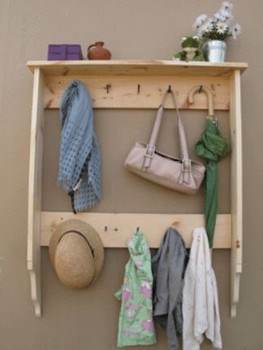 This wall shelf works great in a kid's room, mud room or entry with its handy pegs and shelf. 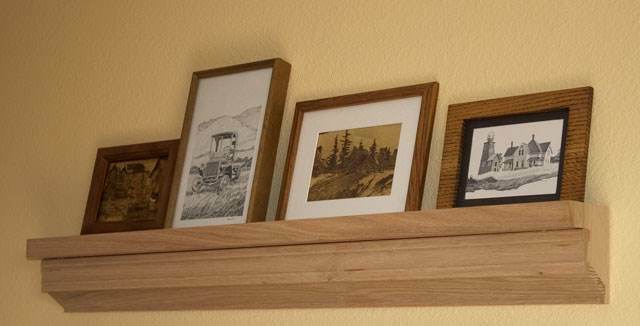 Build an attractive picture shelf and display pictures without hanging them. 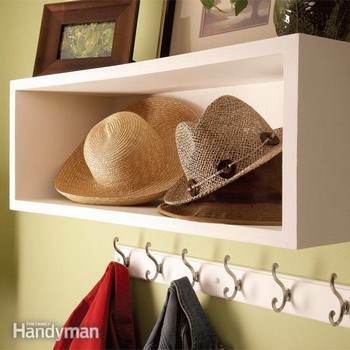 Picture shelves add to any rooms decor and are easy to make. Plans for building decorative pine shelves with three shelves and three drawers. Here are plans for building built-in shelving that will add style and charm to any room in your home. Build these handsome glass door cabinets for additional storage. 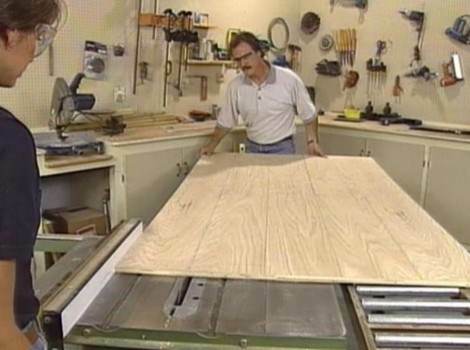 Here are instructions for building an attractive wooden shelf with an extra wide top. This shelf is built out of cherry and will add warmth and interest to any room. 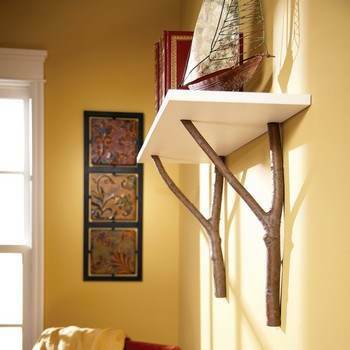 Using all natural materials you can make this adorable tree branch cottage shelf in a short amount of time. 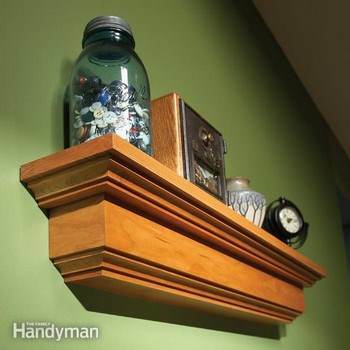 Build these good looking floating shelves that are strong and sturdy, yet cost little to make. These shelves seem to just float on the wall as no hardware is visible. This is a project for a handsome box shelf that is great for storing books, shoes, hats or even displaying decor items. 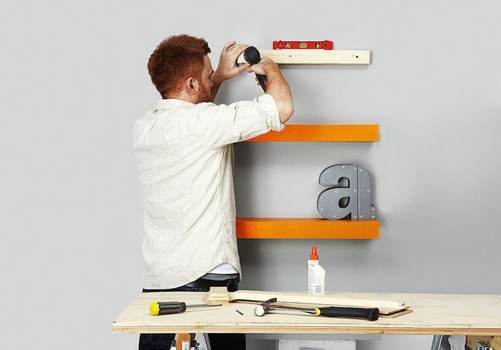 You can build a box shelf in a day.